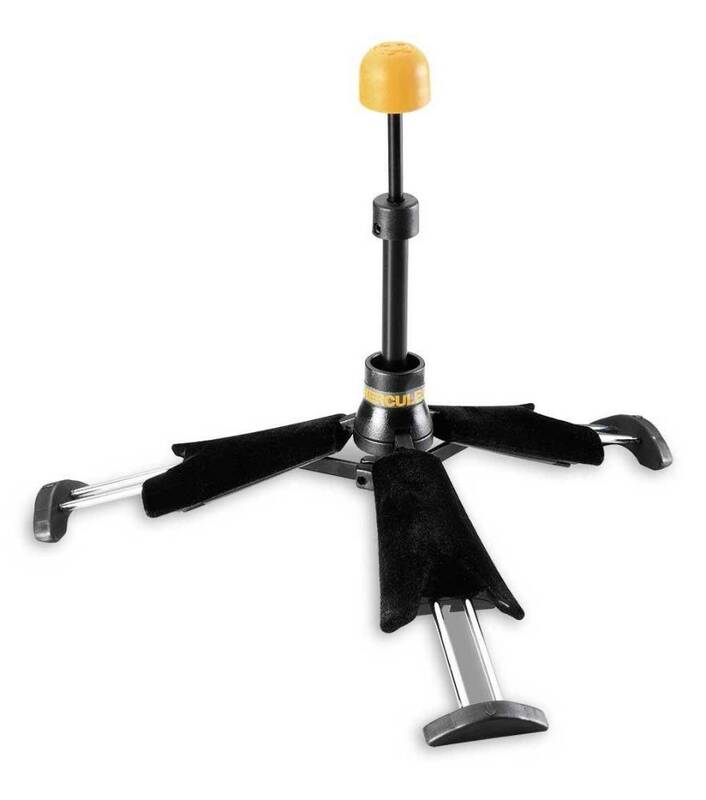 Hercules TravLite™ In-Bell Clarinet stand folds up compactly to fit inside the bell of your instrument. Takes up no extra space in your instrument case. Compact and Stable. Velvet bag included for better protection and easier access.